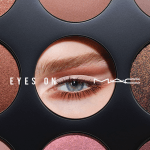 MAC has just-released the new Eyes on MAC Anniversary Collection, which updates one of last year’s best releases; the Eyes on MAC Collection. 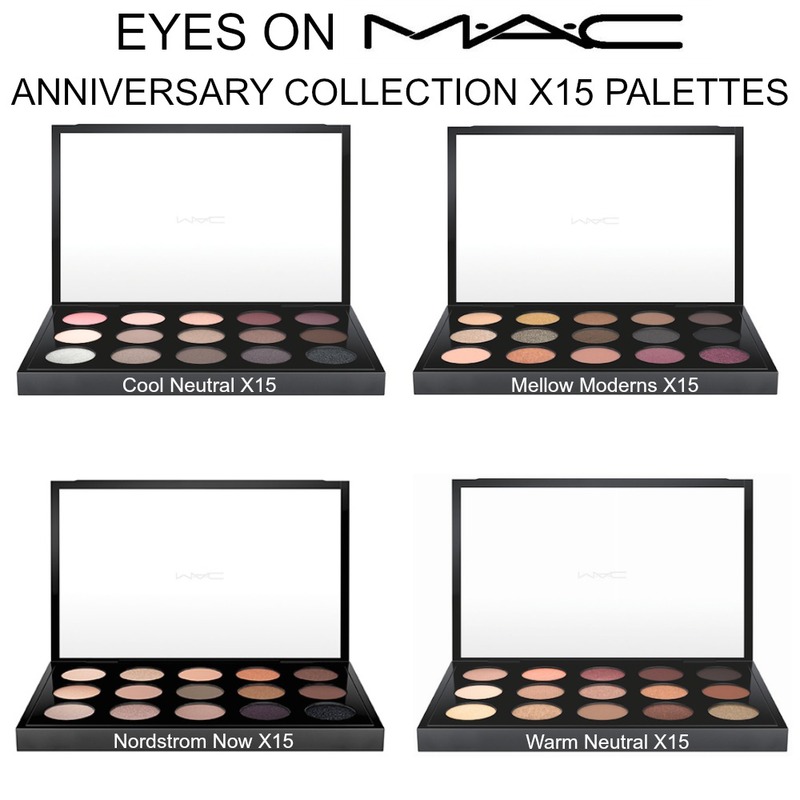 This year, MAC serves up another round of well-edited, color-coordinated eyeshadow palettes that are stunning. Let’s take a look! 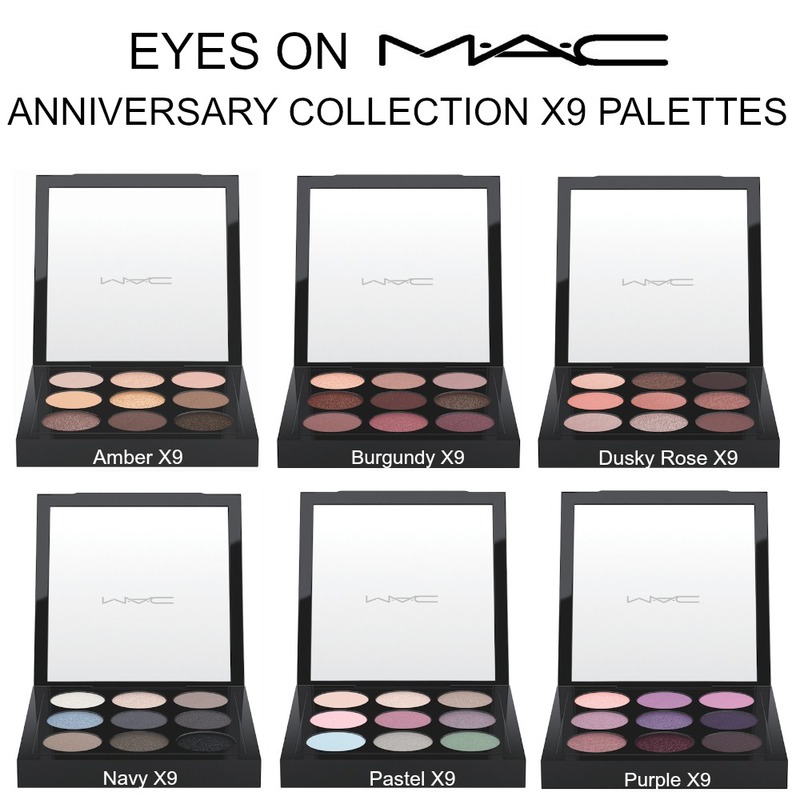 I was able to preview two palettes from the new Eyes on MAC Anniversary Collection; the Amber X9 and the Cool Neutral Palettes. 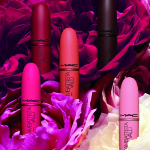 I absolutely love the curated palettes from MAC. I would never be able to pull just the right colors together into one cohesive palette on my own. So that you could see the difference, I placed the original Amber X9 (left, 2015) next to the new Amber X9 Palette (right, 2016). This year’s edition has more of a warm feel, as compared to last year’s. I adore the mix of finishes and the compact size, which is perfect for on-the-go touchups or travel. The color payoff is equally as good in both versions. 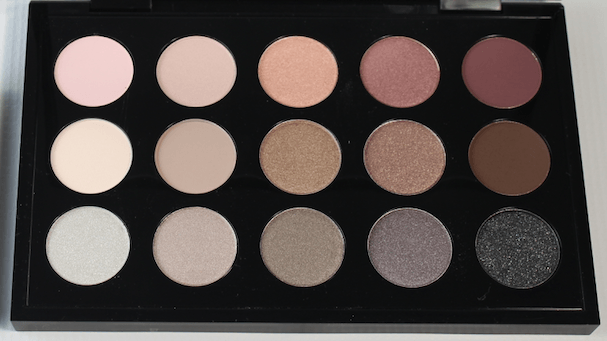 The Cool Neutral Palette has 15 shades of eyeshadow. This palette has a nice range of shades, from pinks, to taupes and browns. I was a little surprised there weren’t many grey shades, or even Carbon, but overall the colors work well together. 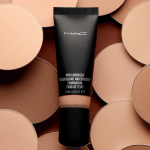 Each shadow measures approximately 1″ by 1″. The fact that the 15 pan palette retails for $65 makes this really reasonable, as compared to buying the single shadows. Pigmentation is good in this palette; no issues with excessive fallout in the one I tested. 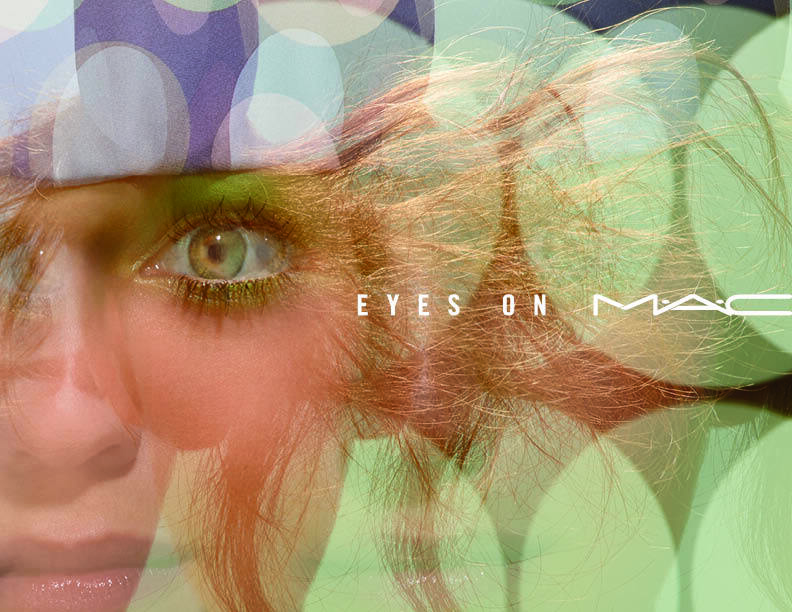 The Eyes on MAC Anniversary Collection is available now at MAC counters, including Nordstrom and at maccosmetics.com. 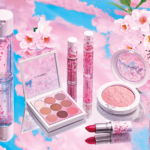 Do you plan on buying any of the palettes? Let me know! Disclosure: Affiliate links have been used in the post, which means a small commission is earned when you purchase through a link. 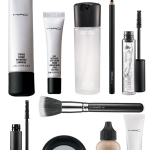 This helps to support the Beauty411 site. See Disclosure Policy for additional information.